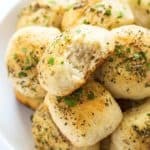 Last week when I was sick with the flu, I was desperately craving these Easy Herb Parmesan Dinner Rolls to eat with a huge bowl of vegetable soup. 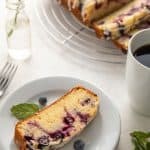 Not only are these crazy easy to throw together, they smell ohhhhhh sooooo heavenly while they’re baking! 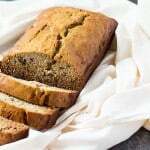 I just had to share this recipe with you before Easter because I realize everyone doesn’t have the time to make bread from scratch. And if you’re feeling under the weather like I was, there’s no way you’re going to feel like kneading dough! 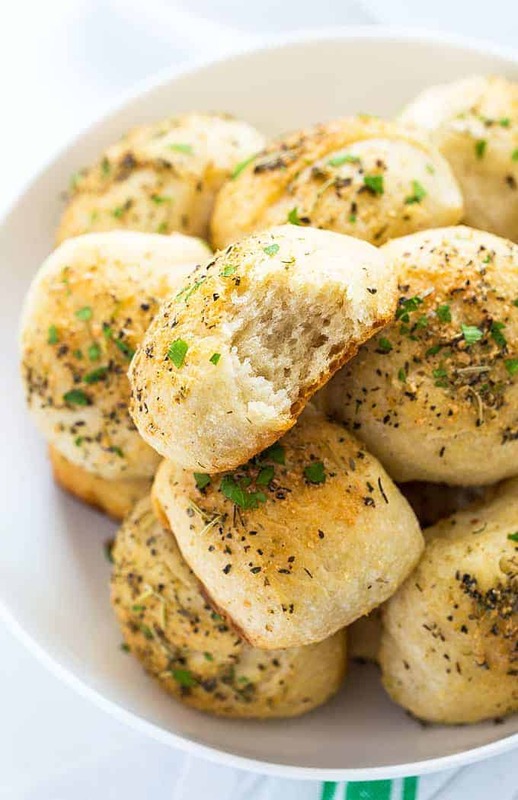 These dinner rolls are perfectly seasoned with a few staple herbs you probably already have on-hand. 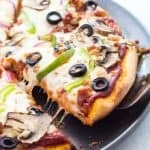 The shortcut is using a refrigerated French bread dough (trust me – no one will ever know!). 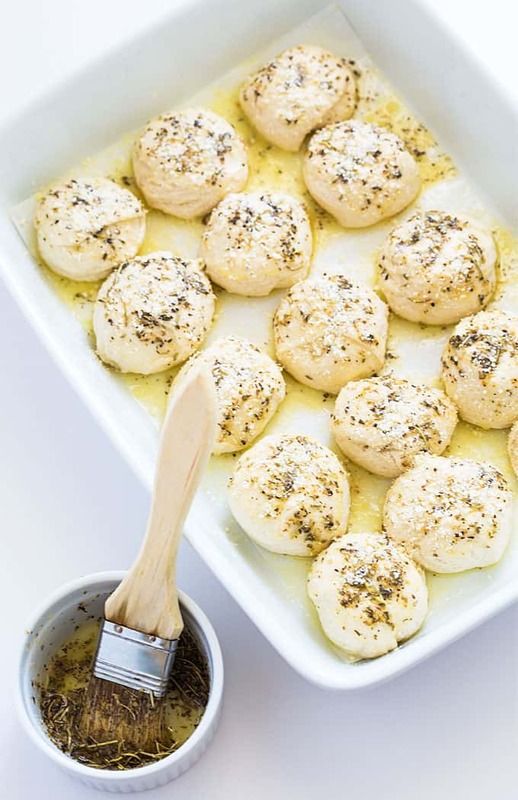 It’s as simple as slicing the roll of dough into 8 equal pieces, rolling into a ball and brushing with an easy herb and butter mixture. 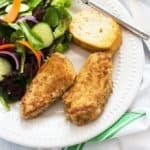 Sprinkle with grated Parmesan cheese and bake… that’s it! 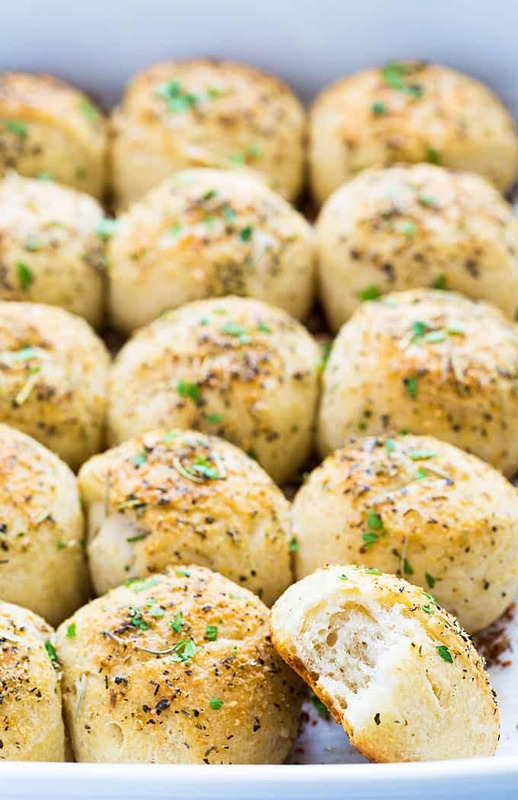 Light, fluffy and perfectly seasoned dinner rolls with herbs and Parmesan cheese. Preheat your oven to 325 degrees F. Grease or line a 9 x 13 baking dish with parchment paper. Melt butter in a small saucepan over low heat. Remove from heat and add garlic powder, oregano, basil and rosemary. Stir to combine. Cut each roll of dough into 8 equal pieces. 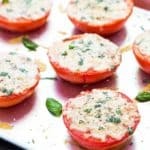 Roll into a ball and place into baking dish. Cut a 1-inch slit into the tops of each roll. 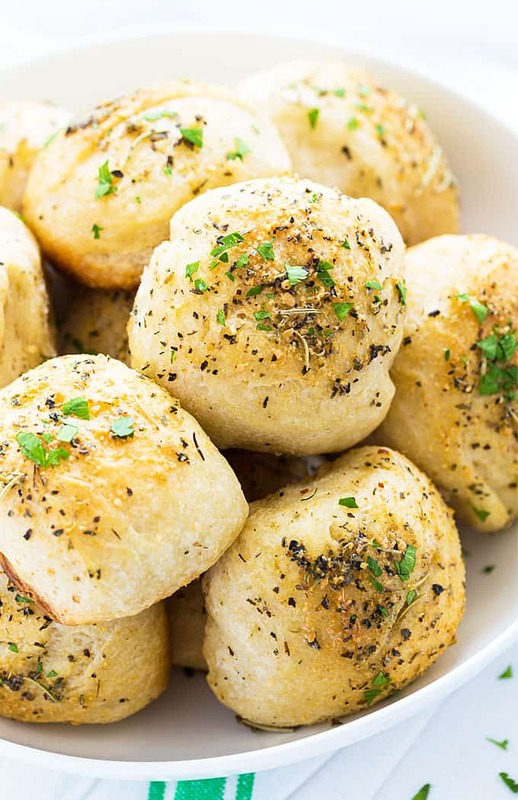 Brush rolls with butter and herb mixture and sprinkle evenly with Parmesan cheese. Bake for 35 minutes, or until golden brown and done. Brush with remaining butter and herb mixture and top with fresh chopped parsley. 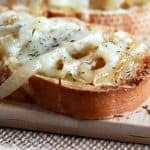 Click to PIN to your bread board!